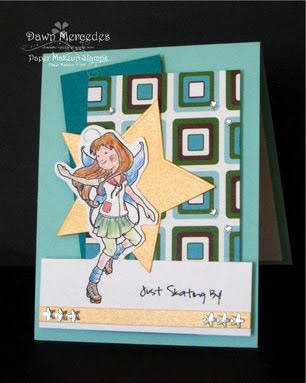 Paper Makeup Stamps: July Sneak Peeks Day 3: Fairies!!!! Today we are sneak peeking our new FAIRIES! Now many of you love the Beautiful Day Fairies with all your heart as they were one of the first lines for PMS. Last release, we had introduced new silhouettes of some of your favorite fairies. We have 2 new silhouettes to add to the collection as well as 3 new fairy girls that are perfect for summer! All these images will be released both as red rubber and as digi stamps. And next up, our new fairies!!!! 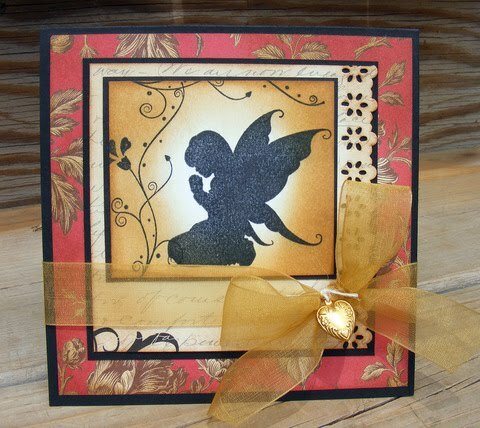 A big bonus is something we think you'll really like... each fairy is coming with a matching sentiment! This month we're doing things a little differently... we're going to give away a $10 gift card for each sneak peek day! Winners will be announced during our blog hop! I can't pick a favorite!! I always love all the fairies :) :) Happy to see more silhouette stamps! 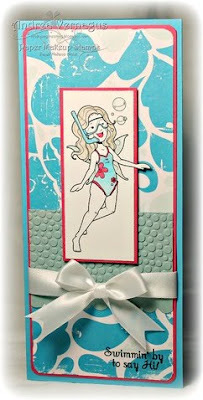 That snorkeling fairy is just too cute. Great cards from all the DT. I LOVE the Emma silhouette. I have used my regular Emma a bunch and I can see this one in my future! The silhouettes are gorgeous!! And the new fairies are so fun and adorable!! I just adore the PMS fairies!! New stamps are totally cute. I love fairies. Hope I win. they all look fun to create with but i think i like the fishing fairy the best. thanks for sharing. Ohhhh I love them all !!! 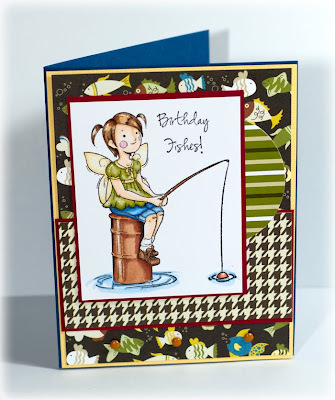 I would have to say the fishing one is my favorite as I am a fisherwoman and fishing stamps are hard to find. Love the new silouettes too. Awesome job ladies!! All of the cards are fantastic! I admit that the Madelyn silhouette is going to be a must have! Awesome new images and great cards by the DT!! Of course I love Emma... anything that has to do with the rain and umbrellas and I'm THERE, lol! Love the silohuettes, but Suzie is pretty cute as well! ACK! The fishing girl fairy is FABULOUS!!! Love it!!! 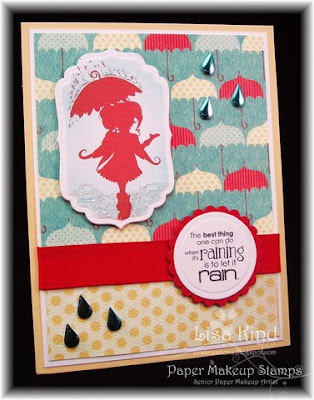 Yowy, Lisa, that card is wonderful; love the umbrellas and the sentiment and the drops! Love how you did the silhouette, Randee! And those papers and ribbon are wonderful! Tina, that's a killer card! Love how you colored her! 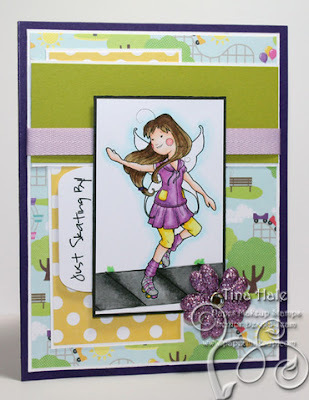 Love your card and the colors, Dawn, and how you fussy cut her!